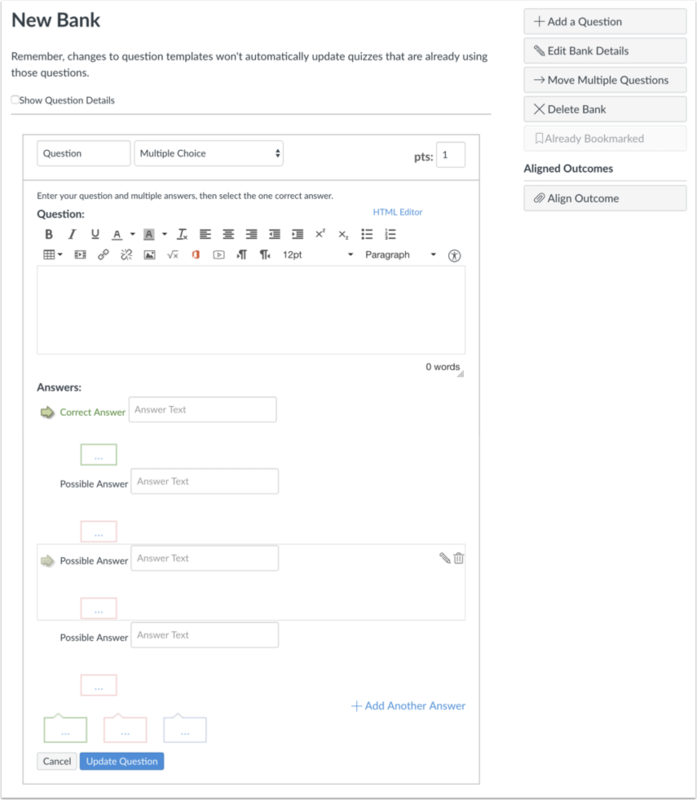 Question Banks are a place to house questions that can be added to quizzes across courses or accounts. Click the Settings icon  and click the Manage Question Banks link . Click the Add Question Bank button. Name the question bank and press Return (on a MAC keyboard ) or Enter (on a PC keyboard). Open the question bank by clicking the title of the question bank. Click the Add a Question button. 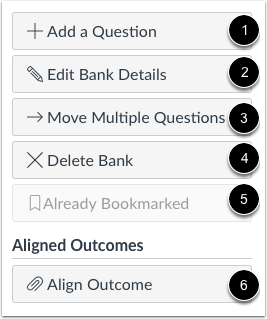 Add as many individual questions as you wish to your question bank. Click the Update Question button to save your changes. View the questions in your question bank. To view question details, click the Show Question Details checkbox. Now you can reference this single bank of questions in many different quizzes. Note: Questions details are not available in question banks with more than 50 questions. Previous Topic:How do I link course content to a quiz question? Next Topic:How do I bookmark a question bank in a course? 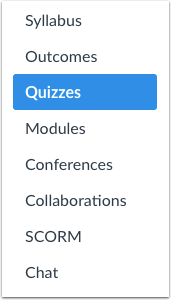 Table of Contents > Quizzes > How do I create a question bank in a course? Re: Is it possible to have a bank of quizzes? Re: Can an instructor pull questions from an assignment created in Canvas? Re: How do I combine two quizzes into a new one? Re: Add question groups to question banks?